(BOWIE, Md.) – A Bowie State University education professor was named one of 45 higher education faculty and staff who will participate in a highly selective fellowship to prepare them for senior positions in college and university administration. Dr. Kimetta R. Hairston, curriculum and instruction specialist in the College of Education, will be part of a cohort of American Council on Education (ACE) Fellows for academic year 2018-19. Established in 1965, the ACE Fellows Program is a distinctive and intensive nominator-driven, cohort-based mentorship model. The Fellows were nominated by a senior administrator from their institutions and selected from a rigorous application process. The program combines retreats, interactive learning opportunities, visits to campuses and other higher education-related organizations, and placement at another higher education institution to condense years of on-the-job experience and skills development into a single year. Fellows observe and work with the president and other senior officers at their host institution, attend decision-making meetings, and focus on issues of interest. They also conduct projects of pressing concern for their home institution and seek to implement their findings upon completion of the fellowship placement. At the conclusion, Fellows return to their home institution with new knowledge and skills that contribute to capacity-building efforts, along with a network of peers across the country and abroad. In addition to her work as curriculum and instruction specialist, Dr. Hairston assists the dean of the College of Education with University System of Maryland (USM) curriculum, legislation, and other initiatives that impact teacher preparation and the college as a whole. She received tenure at BSU in 2015. She serves as chair of several departmental and university committees, including the College of Education Curriculum Committee and the Teacher Education Council. She also serves as a faculty fellow and the secretary on the Entrepreneurship Steering Committee, and she is a member of the President’s Council. 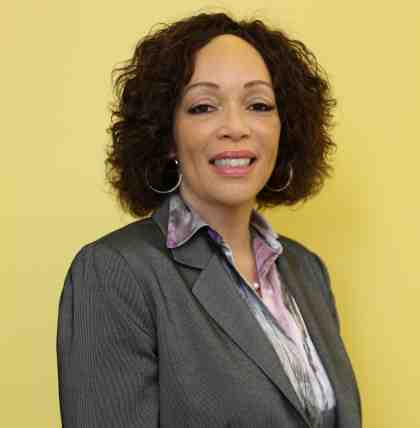 Her professional accomplishments include securing three grant awards and serving as a grant coordinator for Project RISE, a pre-doctoral fellowship program administered by a joint grant with the University of Maryland, College Park; publishing 23 peer-reviewed journal articles, book chapters, and encyclopedia references; presenting at over 65 local, state, national, and international conferences and workshops. The 2018-19 class includes a wide array of geographies and institutional missions, including colleges and universities from Maine to Hawaii, and community colleges, military academies, regional public universities, private liberal arts colleges, and state flagship universities. It also includes Fellows from three historically black colleges and universities (HBCUs), two Hispanic-serving institutions, three faith-based institutions, seven land-grant institutions, and one international institution. Over the past five decades, more than 2,000 higher education leaders have participated in the ACE Fellows Program, with more than 80 percent going on to serve as senior leaders of colleges and universities.